Every once in a while, a movie comes along that's so well done, so quotable that it's pretty much a classic halfway through. 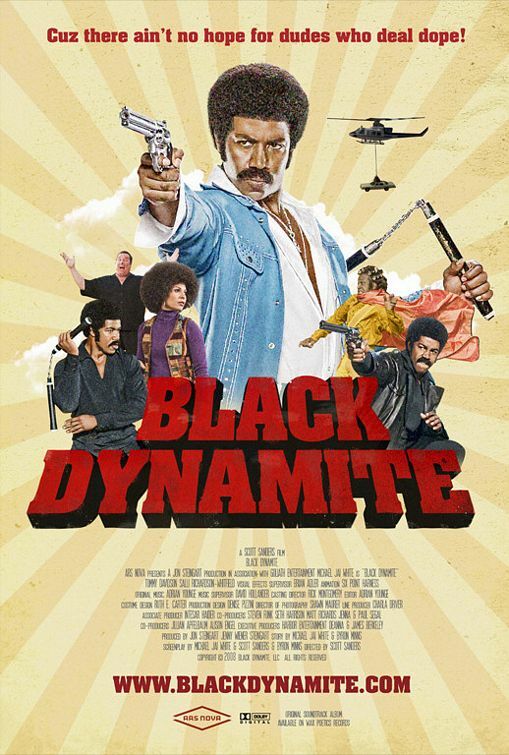 Black Dynamite is one of those movies. I can honestly say it is one of the few movies where I know every single word. 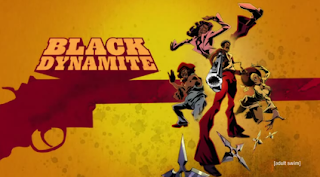 Conceived by Michael Jai White while listening to James Brown's “Super Bad”, Black Dynamite is a love letter to Blaxploitation films. 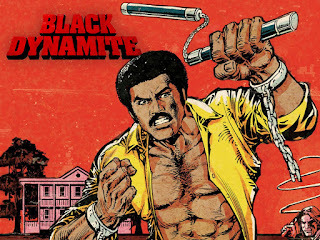 White held parties where he would screen Blaxploitation films and point out some of the more low-budget aspects of the movies and this led to his creation of the Black Dynamite character. The movie's opening is about as on the nose as it gets, with an advertisement for the movie's fictional Anaconda Malt Liquor, complete with slow jam music and a man and a woman about to get down. It's about as 70's black as you'll find as it gets right down to the “OOOOOOOOOH” to end the ad. 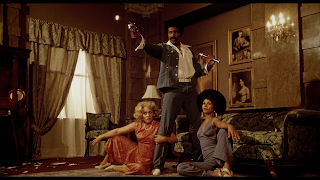 In keeping with the tradition of that movie style, many mistakes were made intentionally, most notably the boom mic appearing in the shot during Black Dynamite's big speech. A scene that could have been just played for a quick chuckle is made even funnier by Michael Jai White's constant acknowledgment of the microphone's presence. What makes the movie so successful is it is truly played out as realistic as possible when it comes to the film and acting style. The character's lines are delivered with such heavy handed cheesiness, that it's hard not to marvel at not just how accurate it is, but how the actors managed to keep it together through the takes. Tommy Davidson as Cream Corn in his chase scene with Black Dynamite was hilarious, as it was clear both men were moving as slow as possible to prolong the chase in keeping with the years of source material. 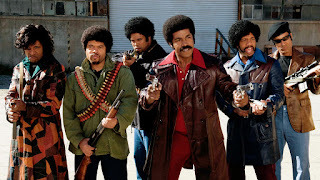 Of all the scenes in the movie, the most notable was the Pimp Counsel featuring Bokeem Woodbine, Obba Babatunde, Miguel Nunez, Arsenio Hall, a freaking Captain Kangaroo Pimp, and even Brian McKnight. The dialogue and delivery was perfect and every actor nailed their respective characters and it is easily one of my favorite group scenes in a movie ever. Bouncing off the popularity of the movie, an animated show was made for Cartoon Network's Adult Swim programming block. 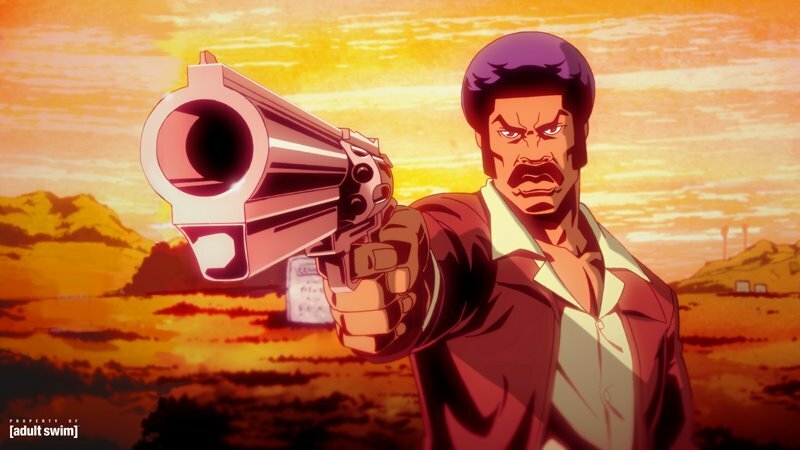 Even though it was written by Michael Jai White and Carl Jones, I'm not gonna lie, I was worried about how the show was going to be handled as I didn't think a true send up of Blaxploitation films would work in an animated format. However, the creators of the show took it in a slightly different direction and played it more in the style of the older cartoons where celebrities would frequently pop up as real parts of the animated universe. Add this with the Black Dynamite style of humor and you have a classic show. From this, we got the excellent Michael Jackson and Richard Pyror episodes, as well as the underrated “Black Jaws” episode. It's a shame we only got 2 seasons of the show and I'm still hoping that Michael Jai White and Carl Jones get a Netflix deal to really show off what they can do with it. Hell for that matter, someone get a hold of Netflix and tell them to get down on a Black Dynamite movie sequel. We need this. NOW. 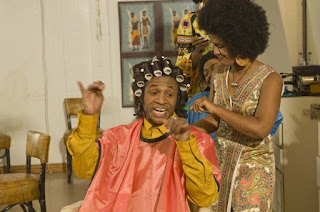 What we got with this movie and the show was not just a send up of classic Blaxploitation, but it was truly a celebration of the independent spirit of Black filmmakers and actors. This more than anything is what makes Black Dynamite a classic. It's easy to spit out a mediocre spoof with little to no respect for the subject matter or the topics being parodied; it is another thing entirely to be entertaining while showing such reverence and respect for the source material that if you didn't know the movie was a parody, you could place it with the originals and think it was from the same era. Now someone get on a sequel. ASAP.